I like Pinky paradise because of their popularity, fast shipping and the variety! Imagine how stoked I am after I found out that they wanted to collaborate with me. Yayyy! It’s Sammy here and today, I’ll be reviewing Pinkicon.com which is an amazing website for circle lens and accessories. They offer a huge variety of lenses with over 300 lenses to choose from. So,let’s just get to the review! Klenspop: Ellen Panda 3 color gray review! Oh my gosh. I’m so excited right now, I can’t even type. My fingers are shaking and I’m still sitting in my school uniform. So, let me just get this straight; I had a pretty awesome day at school, a usual boring bus ride and the weather was awfully nice today, and when I came home, I saw NOT ONE but two packages from my favorite lens websites. Yep. You heard that right. Dark green Lens Overview and Pictures! 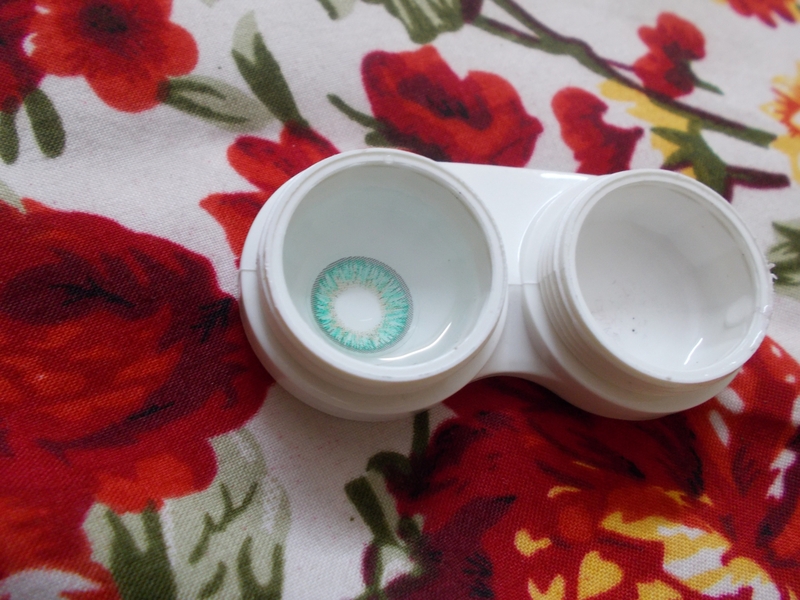 I got these super cheap soft contact lens from Chawri Bazar, Delhi. I actually asked them for light green ones but they gave me dark green instead. Ugh, they barely show up on my brown eyes but I like them anyway. Starting next month, I’ll be reviewing lenses from other websites as well!